“RSS conducts 3 important national level meetings every year. In July, we have the Prant Pracharaks baithaks. Before Deepavali, we have ABMK meetings. 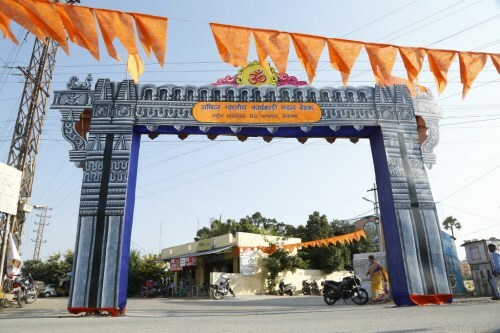 In March every year we have the Akhil Bharteeya Pratinidhi Sabha baithaks. Presently, ABKM meetings are being held from tomorrow i.e 23 October to 25 October, 2016. Now nearly about 400 senior RSS workers representing every province across the nation are participating. 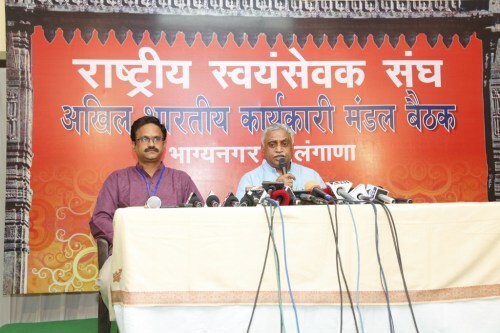 During these three days meeting, there will be discussions on RSS shakhas, social and service activities being conducted by the swayamsevaks and other national and social issues influencing the nation. On important social and national issues, resolutions will be introduced , discussed and passed. From the last 5 years,we have about 52000 to 55000 shakas running across the country. 65% of the swayamsevaks who are attending the daily shakhas are students. 91% of the swayamsevaks who are taking training daily are below 40 years of age and remaining 9% are those above 40 years of age and doing social work. During our Prathmik Siksha varga (7 day camps ) this year, we had 1.12 Lakhs youth participating in them showing the high enthusiasm among youth. RSS is stressing on Gram Vikas through cow-based farming, Kutumb Prabodhan ( initiatives for instilling family values) and Samarasta (social harmony) in the society. Every individual of the society should be allowed in the temples, should be allowed to fetch water from community water resources and everyone should be allow in Smashaan Vatika irrespective of their community. 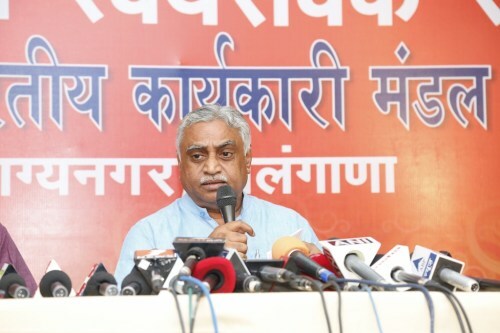 From 2006 onwards, RSS has been working among various social communities to bring about social reform in and there is lot of enthusiasm in the society regarding this. An extensive survey spanning the entire country has been initiated to understand social problems and to work out solutions to eradicate any social discrimination. RSS is organizing every sect of the Hindu society and seeing that there exists no discrimination among them. Younger generation is being attracted to RSS and we received nearly 65000 requests online to join RSS during the last six months of this year which is 35% higher than the last year. The inaugural session will commence at 8:30 am on 23rd October, 2016.